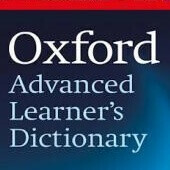 Oxford University Press is a name that sets the benchmark in various English language learning areas, and its Oxford Dictionary is no exception. 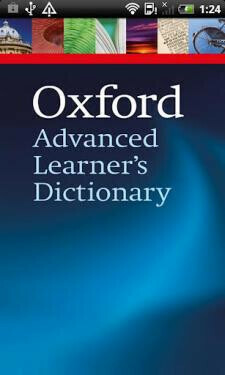 The Oxford Advanced Learner's Dictionary has undergone years of revisions allowing it to stay actual. Good news is that its 8th edition is now available on Android. The bad news? It costs nearly thirty bucks - $28.99, to be exact. It seems that the folks from Oxford can afford to overlook the fact that with app catalogs booming, there is already a plethora of free dictionaries offering similar (though not as rich) lists of entries. Now, you may argue that the Oxford dictionary is better, but unless you need for academic research, it seems like that price tag is way overblown. In a nutshell, the dictionary features 184,500 words and phrases explained with 116,000 spoken example sentences. There is also over a thousand images and thesaurus. Another neat feature is the fact that the Oxford dictionary runs quietly in the background, so you can translate while you’re in another app - say, the browser. Check out the full feature list below and hit the download link if you’re interested. 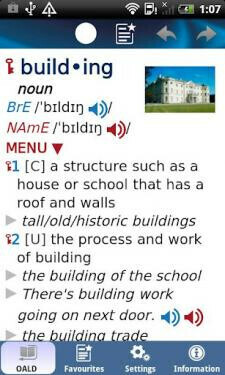 but i have a e dictionary with oxford too!